Welcome to the 2017 FOASS Online Christmas Auction! I would like to receive occasional information and updates from The FOASS Online Christmas Bazaar and jumblebee. Why not treat yourself to a night out, a haircut, a fitness session or even book your child's next party? There's something here for grownups, children and even the the dog! The FOASS team have painstakingly sourced 50 lots worth over £2,500 thanks to the generosity of local businesses - and all funds raised will support "Friends of All Saints School" to enhance the pupils' learning environment. Please note that this online auction will close at 8pm on Friday 8th December 2017. 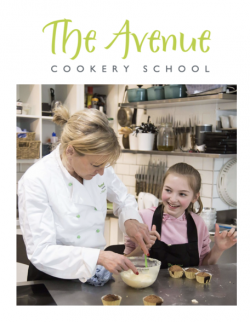 Send your child to two days at the fabulously fun Activ camp. Activ Camps provide multi-activity camps for children that are safe, active and loads of fun! They provide innovative and inclusive variations of traditional games and sports, as well as giving children the opportunity to experience lots more exciting activities, such as motor sports, zorbing, archery and a number of epic giant inflatables. Providing these activities, and caring for the children, are teams of highly trained, passionate and enthusiastic staff who ensure every child always feels safe, happy and inspired. Location in Barnes, Emmanuel School, Wimbledon and other local venues. Featuring magically evocative music and strikingly imaginative designs, puppetry and projections, this spectacular production of Lewis Carroll's classic takes the audience into a fairytale land of wonder and adventure. Learn how to make the perfect cup of coffee with Artisan's Home Brew Master Class for two at Artisan Coffee School. 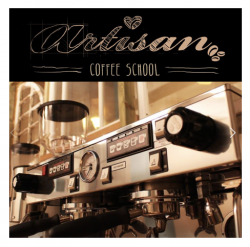 Artisan Coffee School is located within Artisan at 32 New Broadway, Ealing W5 2XA. Treat your budding Ronaldo to 4 Little Kickers sessions at either Eddie Catz, Putney or Ashcroft Technology Academy. The winner will receive a ladies' cut and blow dry at Stephan's Lacy Rd location, accompanied by champagne or wine tasting during the visit, plus a 50% discount off any further services required on the day. 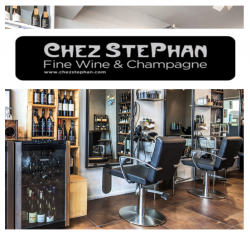 A Hair and Wine Loyalty card from Chez Stephan at this Lacy Rd salon. This lot has a value of £75 and entitles the winner to a gentleman's haircut and up to 3 bottles of wine. 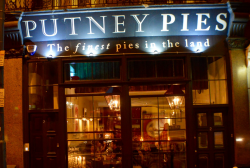 Located on the corner of Putney High Street and the Embankment, with a nightclub hidden down in the vault, Putney Pies is rapidly becoming a Putney Institution! Make the most of your night out with a two course meal complemented by a bottle of house red or white wine. 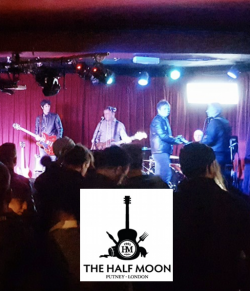 Rock on at Putney's most famous music venue! Use for a gig of your choice (subject to availability). Valid until 1st August 2018. Get your kids bouncing with a party for 12 at this fabulous indoor trampolining centre. The party will include: 1 hour to explore the whole trampoline park - that’s 150 trampolines, obstacle course, dodgeball, airbag and more! After jumping your kids will then be given complimentary pizza and drinks in an exclusive party room. Valid until 07/12/18. 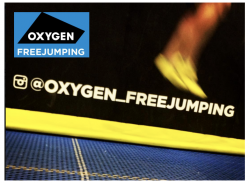 For use at any Oxygen FreeJumping venue. Booking is Subject to Availability so must be booked well in advance to secure the chosen date. 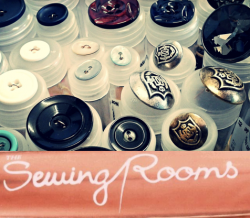 Learn to sew or get help with a sewing project with a one-on-one sewing lesson at The Sewing Rooms on Putney's Lacy Road. Burns Night at this well-loved riverside pub begins at 7pm on Thursday 25th January 2018 with a welcome drink, followed by a 3 course meal served with 3 glasses of high end wine paired especially to match the traditional dishes. 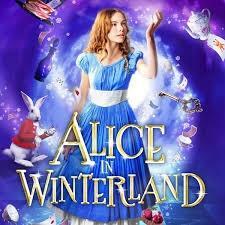 4 x tickets to a Putney Theatre Company or Group 64 Production. 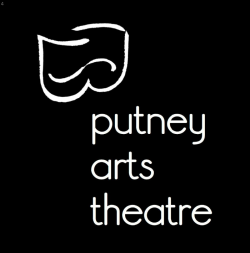 Treat the kids to this wonderful local theatre's Christmas's panto, Jack and the Beanstalk, or visit http://www.putneyartstheatre.org.uk to see 'What's On'. The future of Mama Trot’s farm is in jeopardy. Evil debt collectors Lord Wonga and sidekick Quick Quid want their weekly instalments and the money has run out. To top it all, up above the village in Cloudland, an evil giant threatens the community. All seems lost. But the baddies haven’t taken into account Putney Theatre Company’s resident fairy godmother who’s had a makeover and refined her magic skills. Can she enlist the help of the audience to save the day? 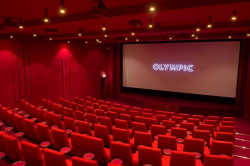 A Luxury sofa for two to watch a film of your choice at Olympic Studios. To be used for any screening on Screen1, subject to availability. Valid until 30th June 2018. 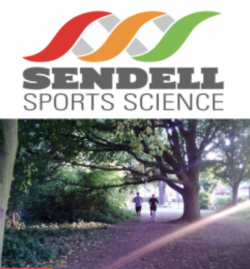 Whether you want to get going on a new fitness regime or you would like some specialist input to your next cycling, running or triathlon event, why not book yourself a 1 hour training session with Sendell Sports Science Coach Greg Sendell? Greg is highly experienced in the preparation and training requirements around these specific sports. An evening of cocktails and creativity! "Professor" Fredi educates and demonstrates the secrets behind making the perfect drink in a hands on mixology class! Includes a drink on arrival, snacks and your own "made @ home" creation. 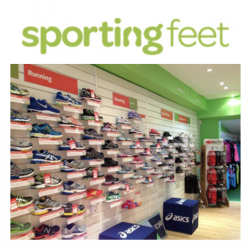 Sports shoes for sporty people - Sporting Feet sells a carefully selected range of great quality sports footwear and insoles. With the aim to help you find the right shoes for your chosen sports. 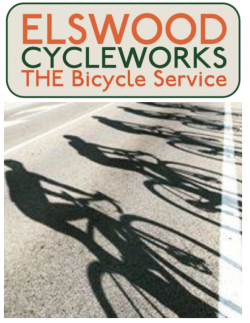 1 x 'Service A' bike service with Putney Cycles. Valid until 28/5/18. Does not include any parts required. 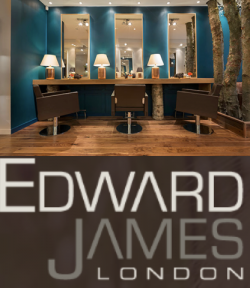 Enjoy a free hair cut and blow dry or gift it to a 'loved one' at Headmasters (Putney High Street). At Headmasters they concentrate on giving beautiful fashionable, confidence boosting hair alongside charming, devoted customer service. Snuggle up in Blabar with 4 of you to enjoy a delicious hot drink and cinnamon bun each! Blåbär is a Nordic Lifestyle store & café on Lacy Road. 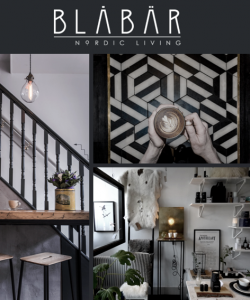 Inspired by the hybrid café and retail concepts commonly found in Scandinavia, Blåbär showcases unique homeware and accessories from up and coming designers, vintage furniture and own branded products all in a café environment serving great coffee, open sandwiches and fika. 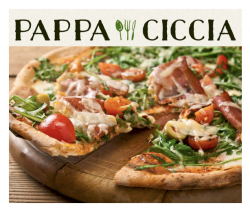 Come and enjoy what makes Pappa Ciccia a special traditional Italian Trattoria Pizzeria. Its branches are child friendly and delivery is available too. Got a budding actor or the next XFactor entrant in your family? Want to build your child's confidence? 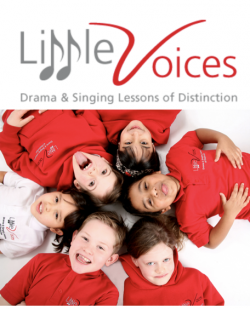 At Little Voices South West London you will find outstanding tuition, expert guidance, support and traditional methods of teaching drama and singing, so that your child can pursue a life on the stage or increase their confidence in all areas of their life. Little Voices prides themselves on traditional and inspirational yet fun filled lessons, which are taught by passionate and highly qualified tutors so that your child can excel in a happy environment. 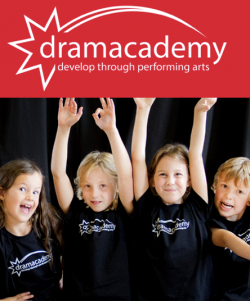 Children are taught within a unique framework of Drama and Singing lessons of Distinction, in groups of no more than six pupils working towards highly respected and accredited Musical Theatre, Drama, Acting and Communication Examinations, including L.A.M.D.A. and Trinity Guildhall. This £50 Gift Voucher can be used for any child between the ages of 4 and 11 towards weekly group lessons or a half term theatre week. 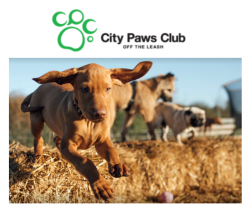 Treat your best friend to 5 consecutive adventure days with City Paws Club. 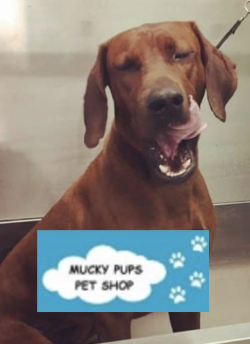 The pack leader will collect your pooch from 7.30am and transport him to a wonderful 16 acre site with a sensory garden, paddling pool and access to 50 acres of woodland walks - doggy heaven! Keep your best friend in tip-top condition or clean him off after a muddy roll on the common with a grooming session from City Paws Club! Do you have the next Serena Williams or Andy Murray in your household? 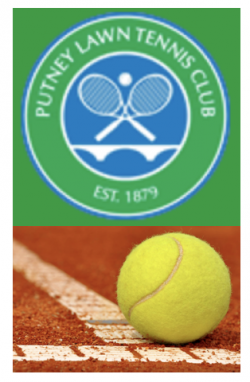 Nurture those talents and sign them up for a term's junior group coaching at the Putney Lawn and Tennis Club on Balmuir Gardens! 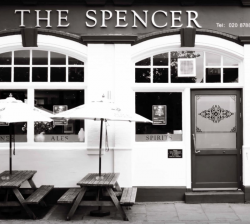 An absolute institution for pub-loving parents of All Saints', The Spencer on Putney Common is delighted to be offering a £50 gift voucher towards any food and drink, spent before 31st May 2018. This fantastic family friendly local venue is an ideal place to 'cosy up' in, with a great dining atmosphere and delicious gastro pub menu. 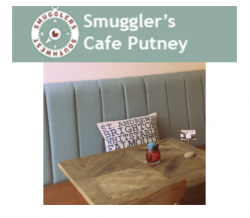 Enjoy a flute of prossecco, a pot of tea and scones with clotted cream and jam at the deliciously cosy Smugglers' Cafe on Lower Richmond Road. Valid: Any time they are open! 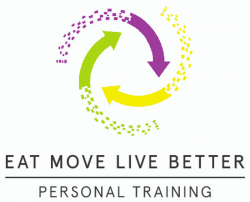 Eat Move Live Better (EMLB) are offering 2 Personal Training Sessions worth £140 so get working on your New Year's Resolutions and bid high! Each one-on-one session will use a variety of exercises to achieve a total body workout which will work on improving muscle tone and help with fat loss. Includes postural analysis, a nutritional review and a programme for continued success. 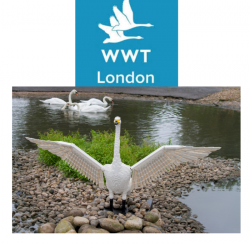 This fabulous urban oasis for wildlife is just 15 walk minutes from Putney. Watch the otters play or do a spot of birdwatching from one of the hides. The café is perfect for relaxing, or take a picnic to enjoy. Kids will love the interactive play areas and it's educational too! This lot includes a family day pass to the Wetlands for 2 x adults and 2 x children (4-16yrs. Under 4's go free). Expires on 31st July 2018. Ssshhh! We won't tell! 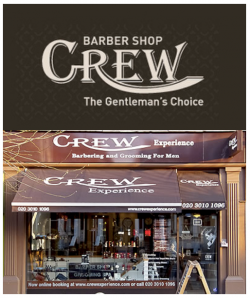 Dad's, why not indulge in a little pampering with a Facial Grooming Shave at Crew Experience on Lower Richmond Road? •	Frame and fork wiped down. •	Headset and bottom bracket checked for wear and adjusted. •	Gears and brakes checked for wear and adjusted. •	Wheels checked for true. •	Hubs checked for wear. •	Nuts and bolts checked and tightened to manufacturer's specifications. •	Tyres checked and inflated. Celebrate the holiday season with an outing to The Prince of Wales Pub. 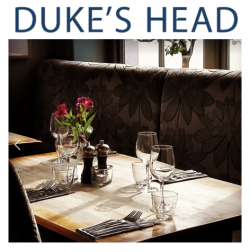 This fantastic gastro pub is located on Upper Richmond Road serving an ever-changing menu of delicious cooking and a wide variety of ales which change regularly too. It's great atmosphere and friendly staff, certainly makes it fit for a Prince! This voucher entitles you to £40 off your final bill during December. Please make sure to book in advance and show the voucher to the manager on duty upon your arrival. 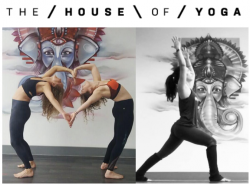 Stretch out the tensions and excesses of Christmas with a whole month of unlimited classes from the House of Yoga on the Upper Richmond Rd. Create the home you love. A new bite-size approach to interior design to help you make the most of your home - or just a single room. 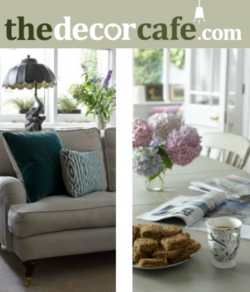 You stay in control of the looks, timings and budget with experienced help by your side with an hour's session with a Decor Buddy from Decor Cafe. Party for 15 including entertainment at Hooray! 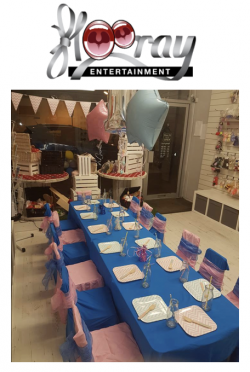 Hooray Entertainment is an award winning team with 15 years' experience in the childrens' party entertainment business - so if you're looking to book a themed party for your child in 2018, look no further! Hoorary are offering a party at their Lower Richmond Rd party venue for up to 15 - including decorations and entertainment! Must be booked within 6 months for a date in 2018. 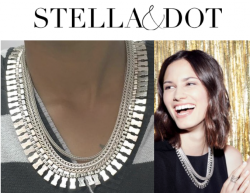 A gentle gradation of jet to clear sparkle nestled with stylish vintage silver chains. A firm family favourite amongst All Saints' parents, Al Forno offers traditional, authentic and contemporary Italian and Sicilian cuisine in true rustic Italian atmosphere - and possibly the best (certainly the largest!) pizzas in Putney. Paul Cook has kindly donated a personal training session. Please note this prize is for new clients to experience what Paul's sessions can offer. 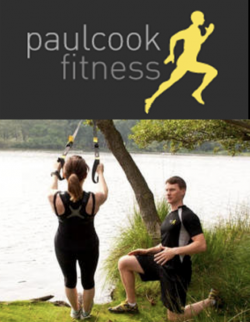 True fitness is integral to the individual, at Paul Cook Fitness (PCF) they listen to what you want from your sessions, understand what your body needs and fit the sessions to you. Paul will motivate and inspire you to achieve more than you thought possible and overcome obstacles stopping you achieving your true potential. PCF clients have diverse backgrounds and fitness ambitions. Ranging from movie stars, polar explorers and blue ribbon rowers to clients looking to maintain a healthy lifestyle. Every client is treated to the same high levels of professional care to ensure every training session is optimised, promoting your well-being at all times. 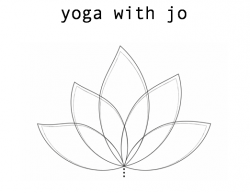 Work on your postures with a private one-to-one session or invite your friends to a group session of up to 8 people with yogi Jo Green. Jo can hold the session either in your own home or in a studio in Putney. 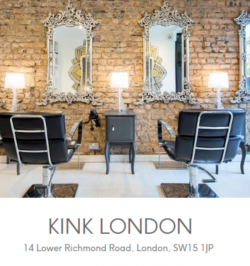 Kink London have very generously donated a haircut and finish to the value of £60 at their salon on Lower Richmond Rd. 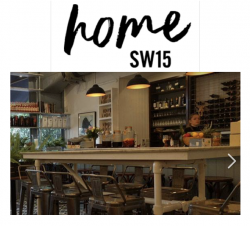 Award winning innovative breakfasts, light lunches and possibly the best coffee in Putney - not to mention a lovely garden at the back, Tried and True have to be one of the friendliest coffee shops in Putney and a great meeting place for family and friends. 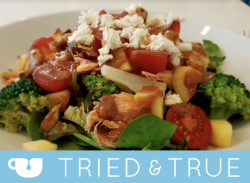 This lot comprises 3 x £10 vouchers for use together or separately, entitling the winner to purchase food, beverages and merchandise at Tried & True Cafe Putney. Nurture your budding Andy Murry or Serena Williams with a week long holiday tennis camp (10am - 3pm Monday to Friday) at Leaders Gardens or another Wandsworth location worth up to £219! PLEASE NOTE: this voucher must be used on camps running up to 1st June 2018. 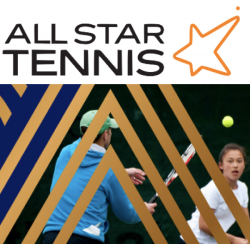 All Star Tennis create a fun-active learning environment, where children enjoy developing their tennis skills and learn to play. Children progress and develop their game with appropriate court sizes, rackets and softer balls. The courses are for all abilities and are based on the internationally recognised LTA Mini Tennis Scheme. Must be booked in advance to get your desired course. Away from the madding crowds of Putney High Street, the Coat and Badge pub is an oasis of calm (except on match days!) with its delightful sunny garden hidden behind a high laurel hedge. 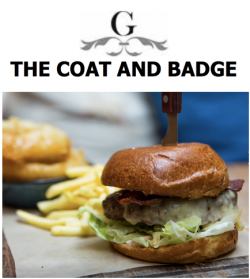 The Coat and Badge have kindly donated a 2 course meal for 2 with a glass of wine each. Booking is advised. With 5 star reviews on Tripadvisor and accolades such as "best pizza ever", Franco Manca is a welcome addition to Putney's family restaurant scene. 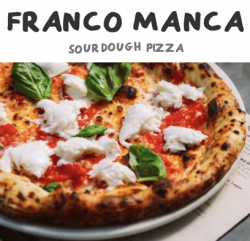 Treat the family to a traditional Neopolitan, wood-fired, sourdough pizza from Franco Manca with this £25 voucher, valid for Eat In or Take Away. This is one for the dog in your life. Weather short or long haired, large or small, our best friends sometimes need a bit of pampering too - especially after a muddy romp in Richmond Park! 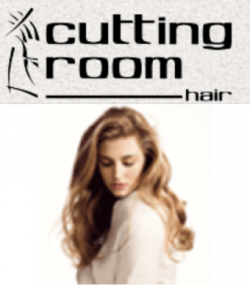 With a commitment to design a haircut that suits you and your lifestyle, Cutting Room offers advice and guidance to ensure that your hair looks just the way you want it. 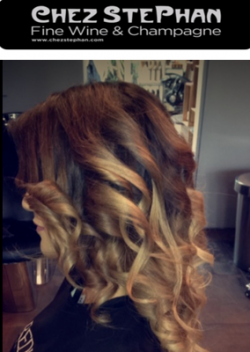 So why not indulge in this haircut and finish from this Putney institution, a Paul Mitchell Signature Salon. Looking for another outlet to help your child focus, build self esteem and confidence? This fast-moving, fun class mixes physical games and dances with songs and poems alongside an inspiring improvised adventure story which the children create together with their club leader. The children become so involved in the story that they forget their inhibitions, speak out more on their own and become more focused. This voucher is available to All Saints School children only - currently in Y1 or Y2 for the Spring term 2018, and as part of the after-school club facilities (usually on Thursdays between 3.30pm and 4.30pm). Need to update your family photos? Why not arrange A FREE STUDIO SESSION at Snappy Studios on Putney High Street and get yourself a 8 x 10 print included. Children change so quickly and before you know it, your little bundle of joy is all grown up, so bring your little angel to a Snappy Snaps studio near you and let our professional photographers take creative and iconic images you will treasure for the rest of your life. Snappy Snaps also take pregnancy and family portraits, so document your baby's life from pregnancy and through infancy by bringing them to one of our studios for a professional photoshoot every year. Snappy Snaps can print your favourite studio images as posters and stretched canvas prints to display proudly in your home or as personalised photo gifts for friends and other family members. Treat your locks with a fantastic hamper worth over £80 from Hair Organics on Lower Richmond Rd. 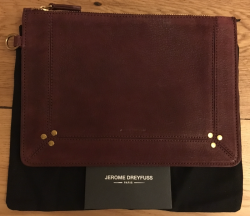 Gorgeously soft leather clutch bag in a rich shade of burgundy generously donated by Jo Sendell of Iris. Comes with a black cotton case.